This article describes the IP1202e DECT base station with external antennas, differences to the IP1202 and antenna requirements. 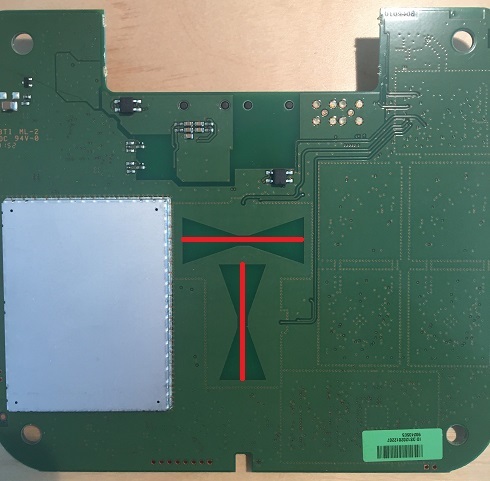 An IP1202e with external antenna connectors provides the possibility to use antenna types with radiation patterns and antenna diversity that differs from the internal antennas of IP1202. Therefore an IP1202e is equipped with two MCX connectors. Also two omni-directional external antennas with coaxial cables are included. In contrast to IP1202, where two internal antennas are arranged to achieve horizontal/vertical polarization diversity, the external antennas on IP1202e can be used to provide spatial diversity. E.g. two omni-directional antennas and mount bracket delivered with IP1202e are designed to provide spatial diversity. 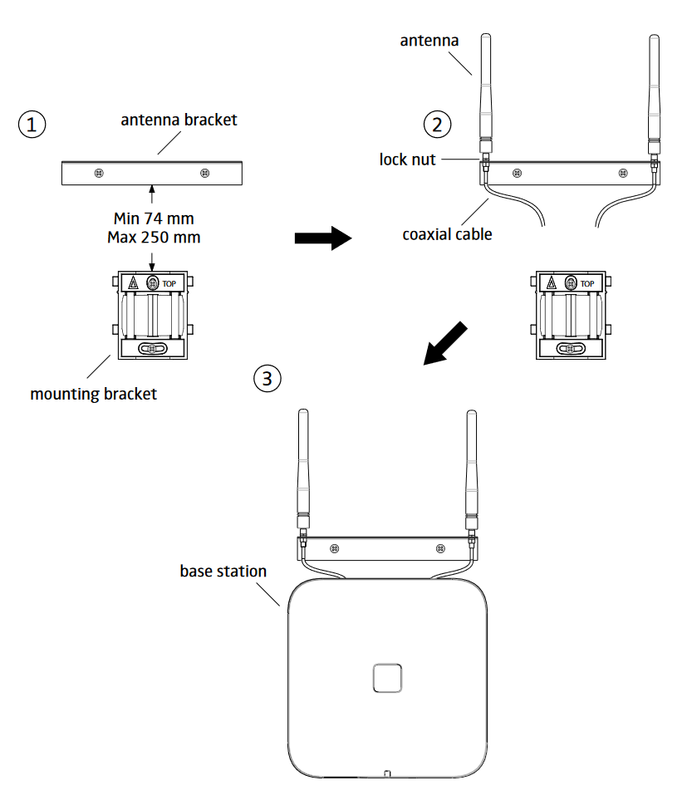 innovaphone provides additional compatible external antennas for IP1202e of 3 different types. Always use both antenna connectors to maintain the antenna diversity. Using only one antenna connector is not recommended. Both antennas should be of the same type. Always place both antennas to provide the signal to the same area. 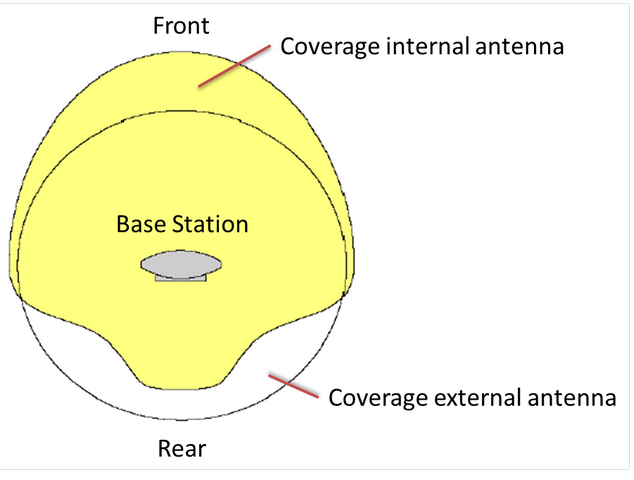 The second antenna connector is not designed to extend the signal range to other area - e.g. 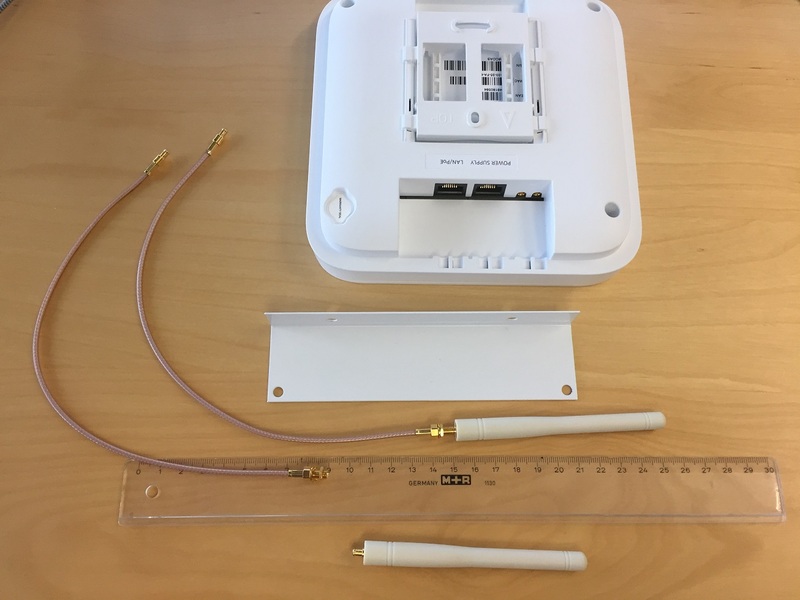 placing first antenna inside of the building and second outside or the first antenna in the one room and the second in the other room is not supported. Directional antennas should be placed to cover the same area too. Use the connector cables of the same length for both antennas. The shorter cables are better - on every meter of the cable you will get 1 dB gain loss. Distance between to antennas should be at least 15 cm. Distance greater that 2 meters are not recommended. This page was last modified 11:00, 18 October 2017.